There are no limits when it comes to the USB flash drive shapes. 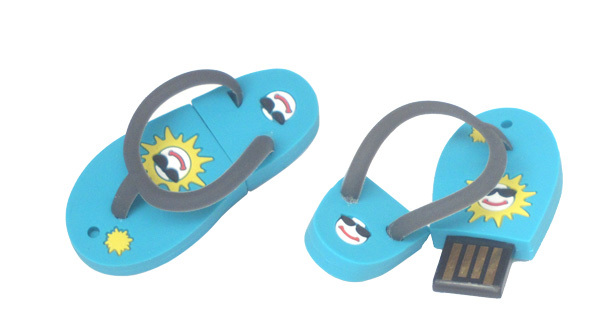 Even in the winter time, the flip-flop USB flash drive looks great! Don’t like this model? We can create any model or any custom shape of your choice. In this particular model, the fun sun shape on top of the drive as well as the strap can be color customized. The printing of your custom logo or text goes on the back of the drive. Especially in the boring and uneventful winter time, you deserve to have some fun. Get some colorful custom shape USB flash drives to brighten your day. As always, you can visit our store to see many interesting USB flash drives and accessories and purchase them online. 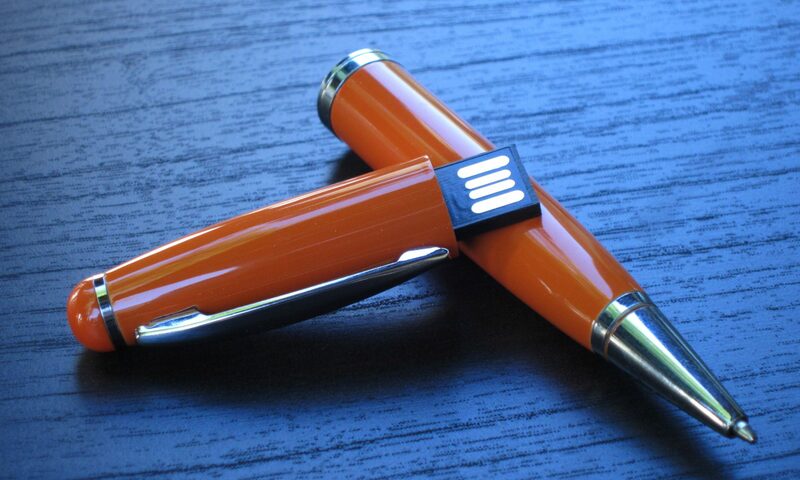 There are many material options when it comes to promoting and marketing with a flash drive. The enormous promotional industry created flash drive cases out of wood, metal, plastic, PVC, and silicone materials. The options are almost limitless. However, PVC and silicone materials offer the ability to remove all limits. Creating your own shape has been out of reach for most companies. The cost for making a single mold was in the thousands! The procedure of creating a positive and then a metal alloy negative or precision machining the mold can be costly. The globalization of the economy and massive production shift to China as well as other low-labor cost countries has created a unique opportunity for any company to use custom shapes almost as easily as creating a new logo for your business cards. Relatively simple shapes with up to 2 colors can be obtained for a mold fee of $250. If your shape is complex with a delicate design, expect to pay up to $700. One way or another, the cost for ordering 1000 custom flash drives for your marketing or promotional campaign will increase by a meager $0.25 to $0.70 per drive. Putting it in a more practical perspective, a flash drive with a shape of your logo, mascot, flag, car, boat, produce, or anything else you can image in a highly usable 4GB capacity will run you around $8 per piece. Want it even less; get highly used promotional capacity of 1GB for $6 per piece. Check out our store for some great ideas. Keep in mind that you are not limited by the designs on our webpage. Your custom design can be implemented just as easily and still for a low cost! It is time to shift to a higher gear to custom PVC or silicone USB flash drives. Your own design, colors, and printed logo will surely leave your competitors in the dust.